This rich history, combined with beautiful windswept beaches and incredible landscapes of the brick fort tucked behind the dune line, is sure to fascinate any Sullivan's Island beach-going visitor, and remains one of this barrier island's oldest and most popular local attraction. 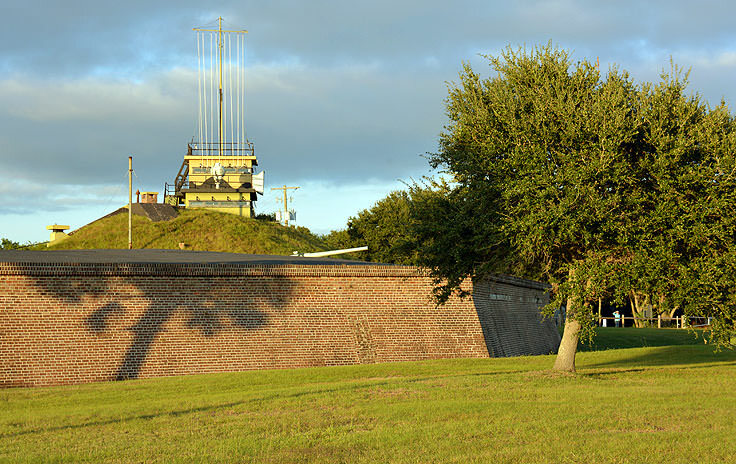 The fort was first built during the onset of the Revolutionary War, when American patriots began constructing a barrier island fort that would secure the bustling port town of Charleston from the invading British. Still unnamed and incomplete, the fort was quickly attacked by British soldiers on June 28th, 1776, although somehow the ramshackle structure, comprised mainly of the local Palmetto logs, was able to withstand the surprising attack. According to reports, cannonballs simply bounced off of the sturdy walls, and 400 soldiers under the direction of William Moultrie, commander of the 2nd South Carolina Regiment and the barely-operational fort, fought a day-long battle that miraculously ended with a fleet of heavily damaged British ships retreating from the coastal Charleston area. 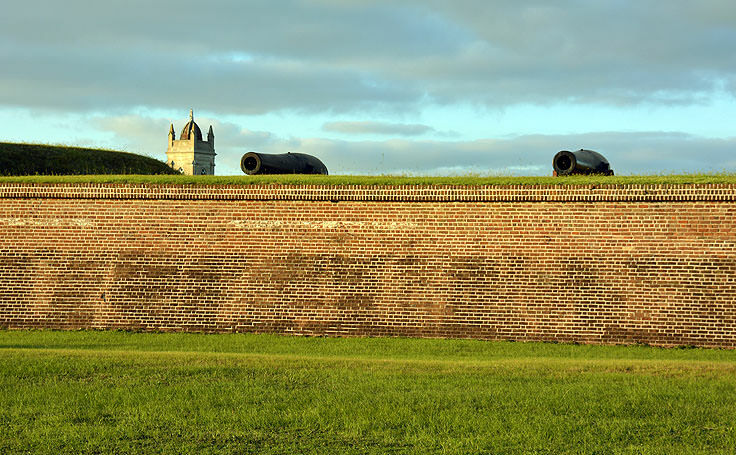 To honor this feat, the fort was named after the commander Moultrie, and Charleston County locals still celebrate "Carolina Day" to this day on June 28th to honor this brave and proud moment in American history. Despite this initial success, however, the British were eventually able to capture the fort, during the swarming Siege of Charleston in the Spring of 1780. The troops departed after the Revolutionary War in 1782, and the fort was quickly completed and reinstated for service, just in time to protect the American borders during the war between France and England in 1793. Despite a hurricane or two which swept through the area and required some repairs to the original structure, the Palmetto-wood fort changed little over the next few decades, until the Civil War loomed on the horizon, and the soldiers stationed at Sullivan's Island readied themselves for a long battle. 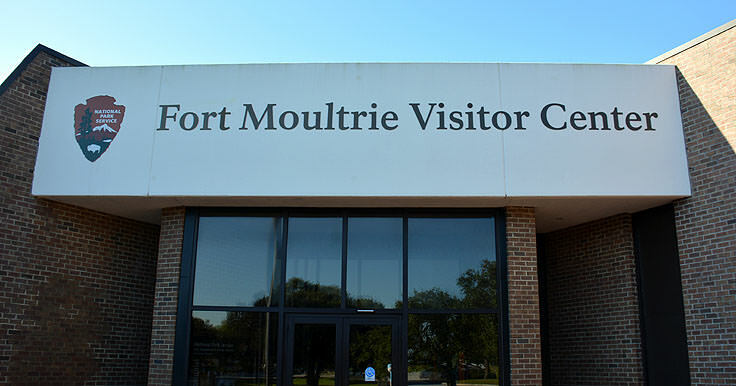 In the months leading up to the official declaration of war, Fort Moultrie's commander,John L. Gardner , made several requests for more troops to secure the site, however these requests were ignored, as the fort was soon to fall under the command of the Confederate Army. 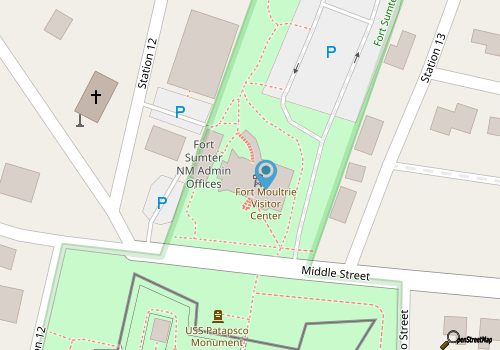 When war broke out in 1860, the fort was relatively abandoned in favor of the newly claimed Fort Sumter, but the effort to move to this new stronghold would prove to be a bad idea. 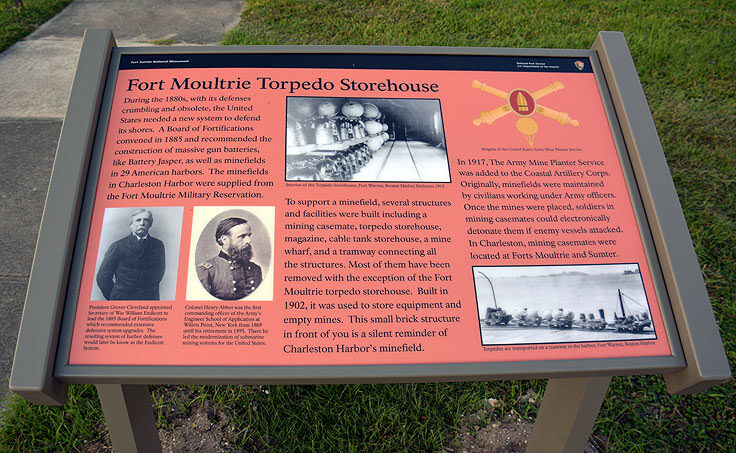 In April 1863, Federal iron-clads and shore batteries began a 20-month bombardment of Sumter and Moultrie, and when the Confederate Army evacuated the area in 1865, Sumter was a pile of rubble, while Fort Moultrie, hidden under the band of sand that protected its walls, only received minor damage from the nearly two-year attack. The fort, one of the few coastal forts intact after the war, was modernized in the 1870s, adding layers of concrete and huge new cannons to the site. These upgrades would barely be used, as while the fort was active during the next big national skirmishes - namely the two world wars where enemy submarines lurked off the American coastline - they were not much help compared to the nuclear weapons and guided missiles which changed the landscape of national defense. 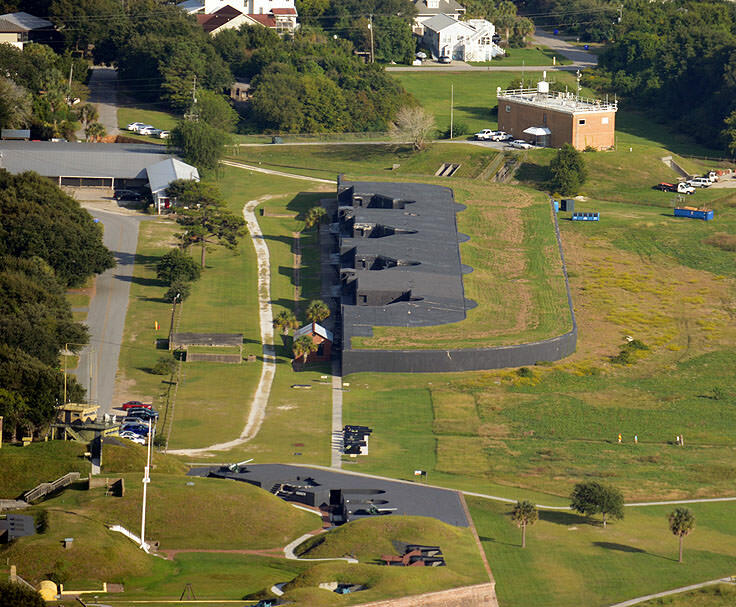 In 1960, the fort was officially decommissioned and handed over to the National Park Service, which managed the site and the oceanfront acreage surrounding the fort as the Fort Moultrie National Monument. 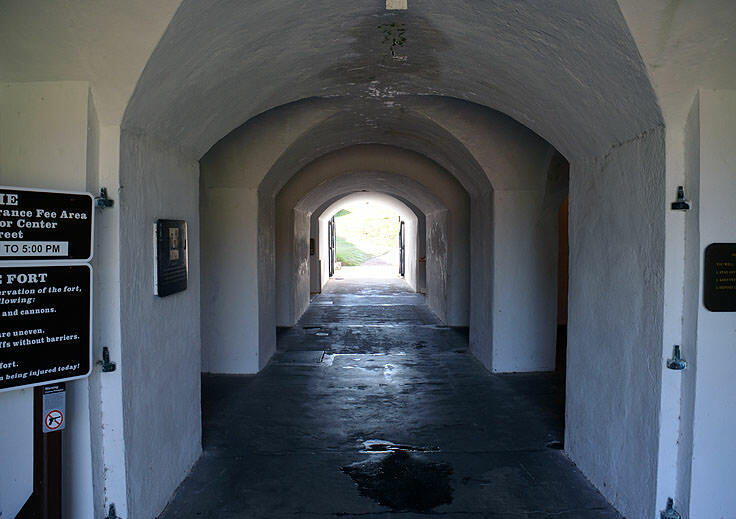 The National Park Service would later transform the site into a open-to-the-public time capsule, that would lead visitors through the history of the fort itself and the surrounding coastal areas, from the Revolutionary War and famous Palmetto logs, to its small but arguably vital defensive role during World War II. Today, the fort is home to the original structure, in addition to a visitor's center and wide parking area, and is open daily from 9:00 a.m. to 5:00 p.m. except for New Year's, Thanksgiving and Christmas Days. 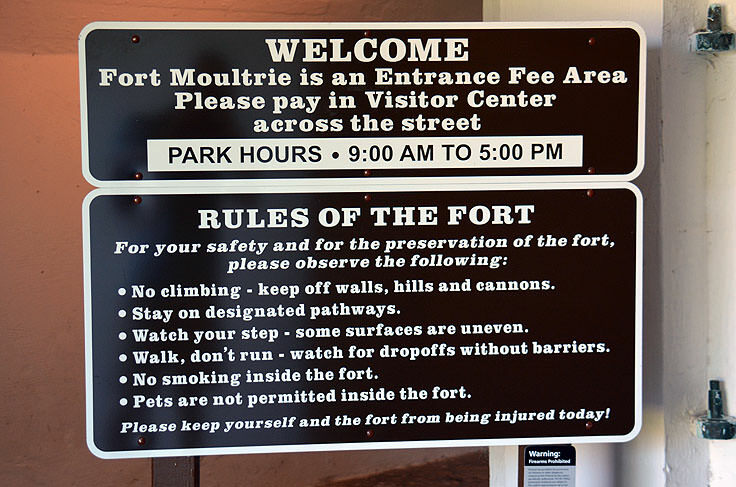 There is a small entrance fee to access Fort Moultrie, which ranges from $1.00 for seniors who are 62 and older, and $3.00 for adults, while children 15 and under are free. Special groups, such as educational groups and students, are often granted free access as well with plenty of advance notice. 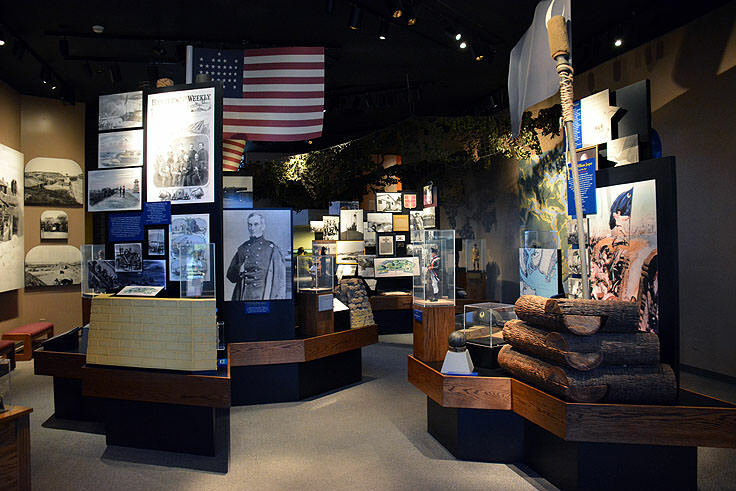 For more information, prospective teachers and students can visit the National Park Service's website at http://www.nps.gov/fosu/planyourvisit/feesandreservations.htm. At the site, visitors will have the option to explore the surprisingly intact remnants of the beachside fort itself via self-guided or guided tours, and can even access the coastal beaches that are undeveloped and unpopulated, and are located just a stone's throw away from the site itself. 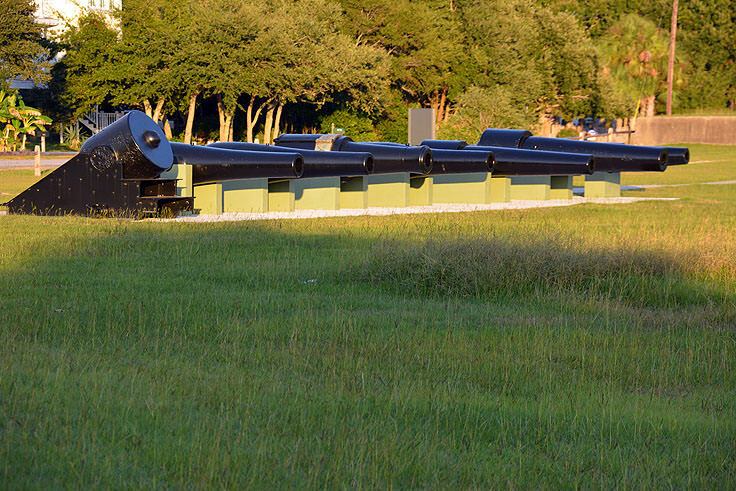 Granted, Fort Moultrie National Monument may be overshadowed by its Fort Sumter neighbor, an instrumental focal point during the Civil War, but the brick and concrete barriers that have remained relatively unchanged since their hey-day during the Revolutionary War, combined with a wealth of gorgeous beaches located just past the fort's borders, makes this destination a worthy exploration for any South Carolina visitor. 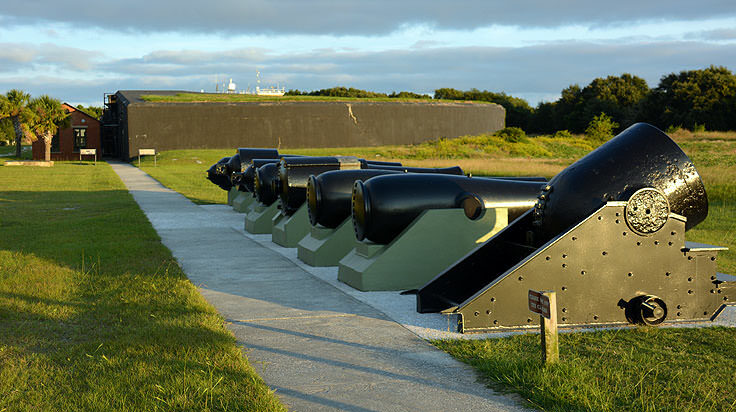 An authentic representation of South Carolina's tumultuous wartime past, Fort Moultrie National Monument is sure to be an engaging and surprisingly memorable stop for any Sullivan's Island visitor.